Intake of garlic increases the body’s resistance power. 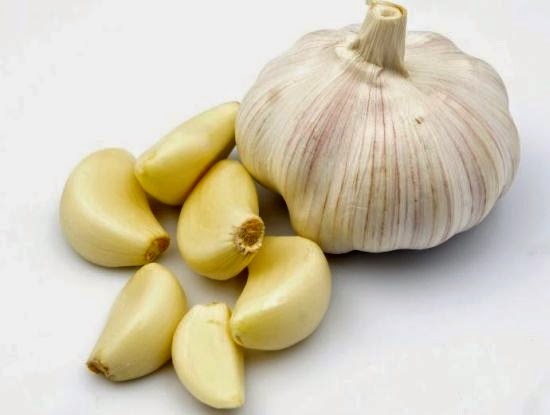 Garlic contains alisin antibiotic which saves you from having many diseases. There are plenty of benefits of eating garlic with empty stomach. Garlic is not only beneficial in winter but also it is very useful in cold. However you should reduce its use in summer. Garlic is beneficial in cold and cough. Every year an average adult at least 3-4 times become a victim of cold but it happens more with children. Garlic is a natural medicine which has not side effects. Raw Garlic: You can eat garlic in a span of 3-4 hours a day. If you cannot eat it plain then you can eat it with honey. It gives relaxation in cold. Garlic and Lemonade: You get relief by eating garlic with lemonade. It removes toxins from the body. Take a lime, cut it in two pieces and wring it into a glass. Add a little warm water and drink it with garlic. Garlic and Orange Juice: You can comfort in the beginning of cold if you intake garlic with orange juice. Take 4-5 garlic buds and cut it and leave for 10-15 minutes. Take orange juice in a glass and drink the garlic buds along with it. Do it at night before going to bed. Garlic and Soup: The best remedy to avoid cold is that you add garlic buds into your soup. It is very beneficial in cold.